Light-colored, natural wood, folding frame with thin tan pad. Great for outdoor home parties, weddings, meetings, or corporate functions. 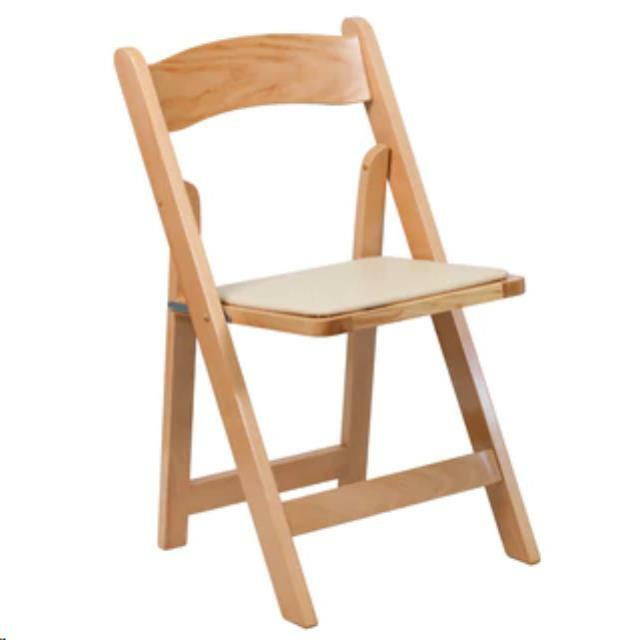 * Please call us for any questions on our natural wood folding chairs white seat serving Portland-Vancouver Metro, Columbia River Gorge and surrounding areas.